So you’ve decided to get a cat! Whether young or old, integrating into a new environment can be a stressful experience for your feline friend. 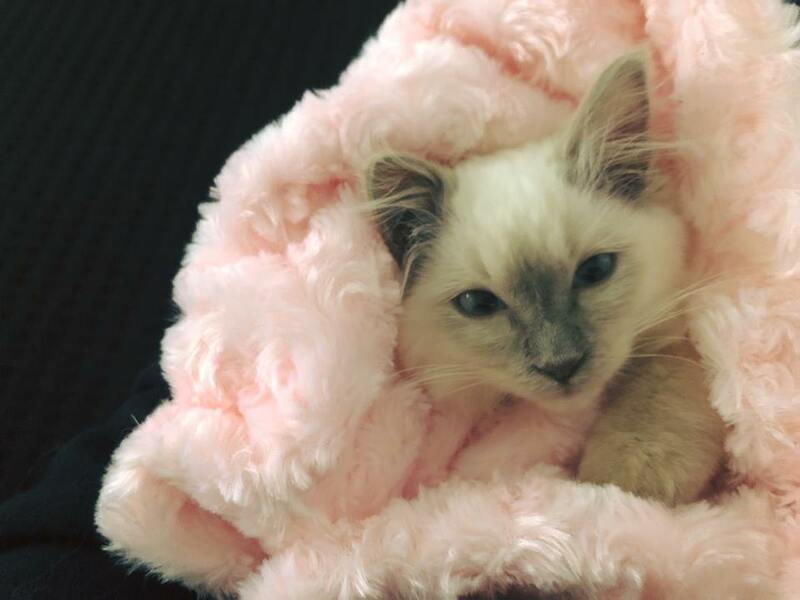 We spoke to new kitten owner Dianne, who reveals her key pointers to make the move as pawsitive as possible for all involved. Take note of where your cat came from, particularly if you are adopting them. How different is your place to their previous home? Was it loud, quiet, small, large? There are so many new smells, sights, and noises. Start by confining them to one room and spending regular time with them there. Provide them with hiding places, which can be as simple as some cardboard boxes. Your cat should feel that these are their very own ‘do not disturb’ spaces. For Diane and new kitten Willow, a simple playpen was ideal. She made sure it was filled with her own kitty litter, toys and food bowl. Willow was kept in here during the day while Dianne was at work. This was kept up for 3 weeks, with Willow being let out a little longer each time. Cats meeting other pets isn’t always cute and cuddly. This is what Dianne realised when she brought home 10 week old Blue Point Rag-doll, Willow to meet her 3 year old Russian blue, Coco. 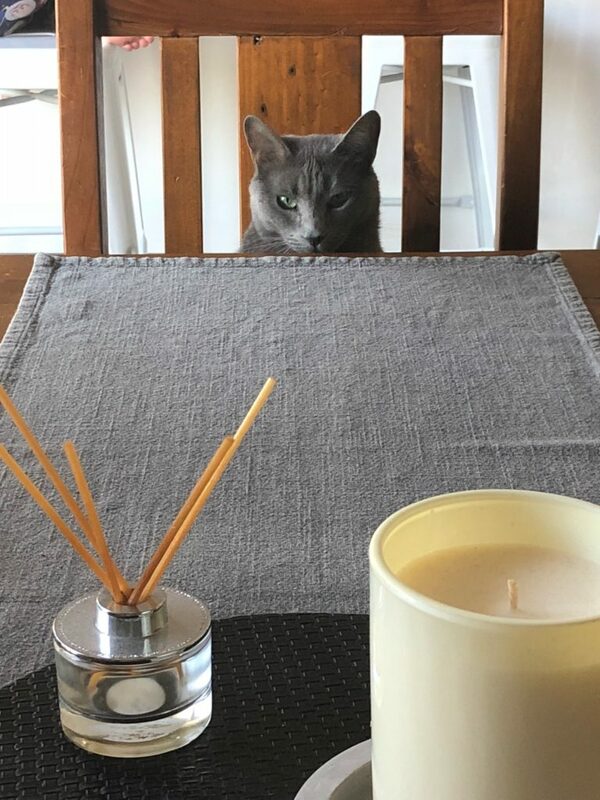 Cats are naturally territorial and so when somebody new steps into their home, they may express their dissatisfaction through hissing, fighting or marking their territory. It is important that initially they have their separate spaces. Slow introductions will be the key to success for cats meeting any other animals. Allow them to gradually be around each other for longer periods each day until you know they get along. 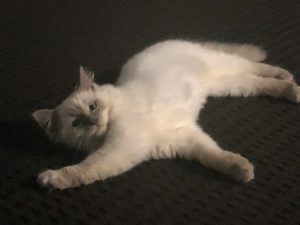 Diane tells us that even though her two get along and play together, there are still days where Coco will hiss at Willow when she is not in the mood for playing. This is not something to worry about. It is simply the way some cats communicate when they want some space and Diane is confident it would never escalate beyond this. It is to be expected that your cat will be stressed in the initial stage. What you should look out for though, is if these signs don’t seem to diminish over time. Signs of stress may include decrease in appetite, excessive hiding, lack of interest or aggressive tendencies. If you find yourself worrying then ask for advice from your vet or a local animal behaviorist. Staying receptive and a little preparation will go a long way. Soon enough it’ll seem as though your newest family member has always called your place home.